Today I am finishing out my 3 part series this evening with Little Darlings Rubber Stamps "Gal Pals" stamp set. I have had a lot of fun with this set and the fact that you can use them all together or individually like I have done just gives you more opportunities and more bang for your buck. For this project I stamped the image and then used my Brother Scan & Cut to cut her out. I paired the stamped image with dies from the Gilded Oval Die Set also by LDRS Creative. This die set works perfectly with all of the All Dressed Up Stamp Collections. Here is a close up of my coloring. I have used Copic markers in the following colors. 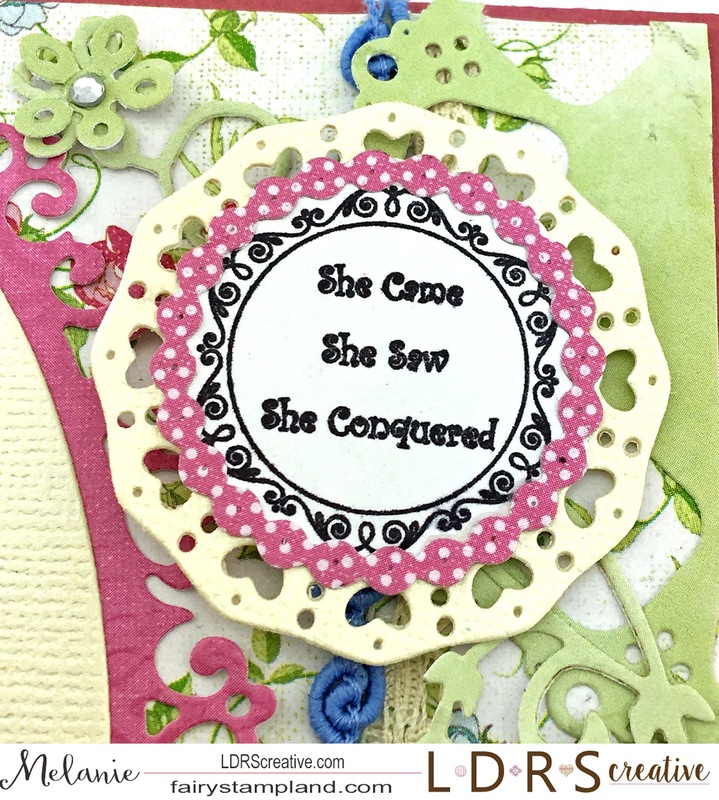 Below are the past two projects I have posted previously all using this one Gal Pal's Stamp Set. To purchase this Gal Pal set or any other sets from All Dressed Up, Click HERE! Thank you for stopping by today. I hope I have inspired you and that you have a beautiful day. 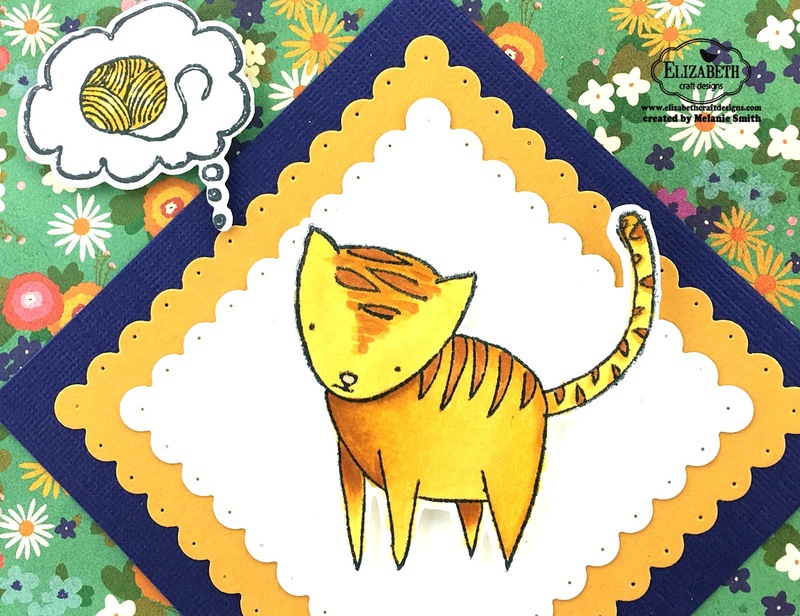 Today I have colored up one of the fun kitty images which are part of the "Purr" stamp set by Elizabeth Craft Designs. I had fun coloring this image and designing this card to look as if the kitty was sitting on a fence looking out at the woods. Fence paper: 5.5"x1.75" for larger piece and 5.5"x.50" for the fence top. I added distress ink around the edges of both fence pieces. Attach the tree paper and the larger fence paper to the card base. Then using foam dots attach the fence top piece over where the two background pieces meet. I used foam dots for behind the cat itself too. Then lastly I used versa mark and gold embossing powder to complete the sentiment. "Dream Sentiments Clear Stamp Set"
Today I am ecstatic to share with you my Elizabeth Craft Designs' card using the Circle Background Die. I cannot tell you how much fun this was to design. Below are the simple directions so you can make your own. Cut a card base from a dark purple card stock measuring (4" x10.5"), score and fold. From all the inside pieces of the die begin to lay down the different sizes and colors until you like the design of the pieces then begin attaching them into place to form a mosaic design. Die cut 7 dark purple stars from the "Entwined Ovals" die set, 1 white banner from the "Stitched Fish Tail Banners", and lastly the "Thanks" die cut from both dark and light purple paper. Let the Assembly begin... Glue down all of the mosaic pieces in the pattern of your choice. Attach the dark purple stars to the white circles for some added contrast. Glue down the banner with the dark and light purple "thanks" dies slightly offset to create a shadow to the sentiment. Using the "Glitter Dots Peel off Stickers" add one to the center to each of the stars for a little added sparkle. Today I am excited to share with you my "Inside Out" card which is part of the Elizabeth Craft Designs' Challenge Blog. A lot of us tend to create cards without a second thought of the inside of the card. I know I for one do this and then when it is time to send the card to it's recipient we have to stop and finish the inside. So this week for our challenge we are not only completing the front of the card but also the inside. 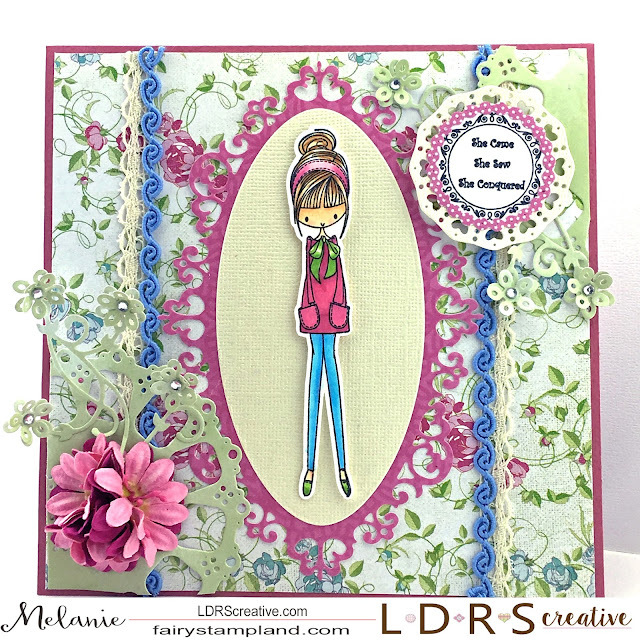 Take a look below at my sample to see this "ready to give" inside out card. This A2 size card was so much fun to create. The stamp set used here is called "Jungle Cuties" Color your this little guy with Copic markers or any other coloring medium of your choice. 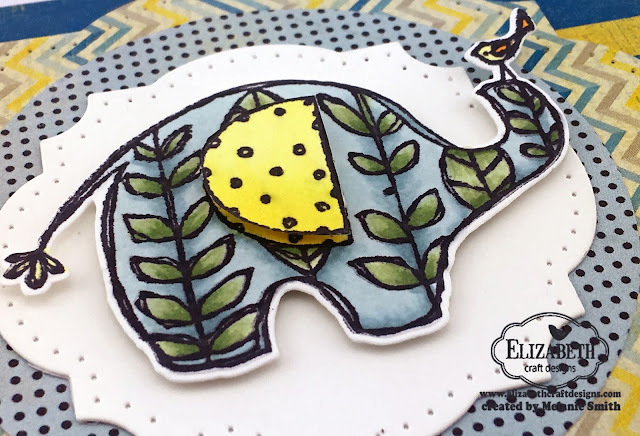 Stamp a second elephant and fussy cut just the ear and pop it up with some foam tape to add some dimension. Cut a card base for an A2 sized card. (5.5 x 8.5") score and fold. Cut one piece of patterned paper for the background measuring 5.5" x 4.25"and glue to card front. Cut a yellow strip from patterned paper. (5.5"x2"). Cut two piece of teal colored ribbon approximately 6" each. Adhere these to the yellow stripe of paper before attaching to the card front. Die cut layers using the following die sets. Labels & Circles & Fitted Circles. The largest label is adhered with foam tape as well as the elephant and the extra elephant's ear. Lastly the INSIDE of this fun card.... It is decorated similar to the front layers of the card. This card is officially ready for gift giving. Just jot down a personal message and mail to a friend. Today I am sharing a fun card made from numerous leaf dies and Shimmer Sheetz papers by Elizabeth Craft Designs. This was an experiment in the making but I think for the first try using Shimmer Sheetz that it turned out well. Due to the glare of the Shimmer Sheetz the photography was quite challenging. Step 1: From a piece of 5.5"x4.25" black piece of card stock arrange the leaf dies to create a pattern. Run through die cut machine and remove the leaf pieces and discard. You are now left with a black card front with the negative space left behind from where the leaf dies were. 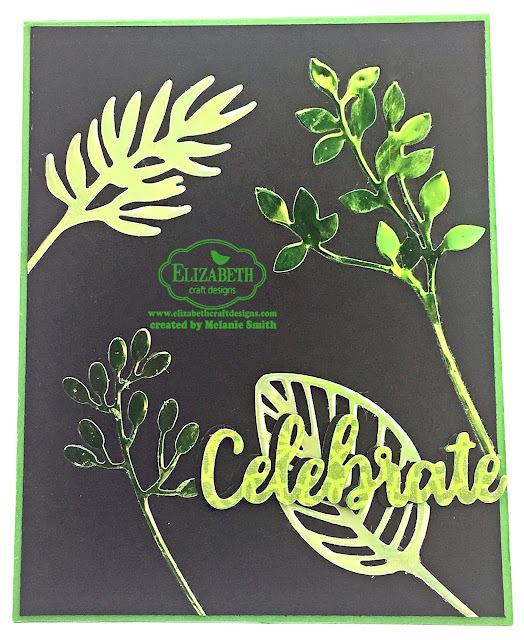 Step 2: Next using 2 different green colors of Shimmer Sheetz die cut two different leaves from each color. Step 3: Cut a green card base at 11" x 4.25" and score in half. Cut a second black piece to 5.5" x 4.25" and glue two black pieces together. This will allow for a recessed space to be left where the leaves will be placed. Step 4: Carefully adhere the Shimmer Sheetz leaves into the recessed spaces left in the black card front. Trim off 1/8th of an inch from one short side and one longer side of black paper. This allows for minor error and trimming of longer stems. 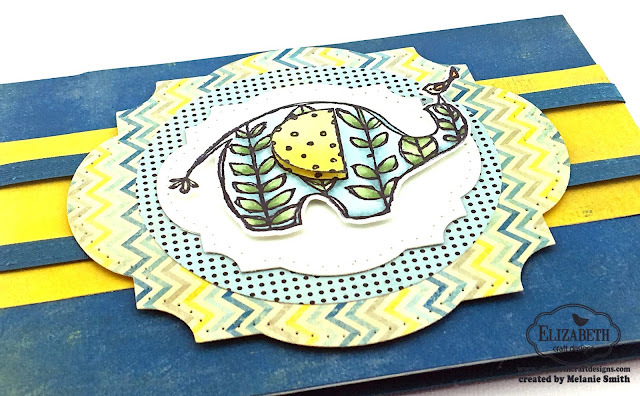 Attach the black card top to the card base leaving an 1/8" border around outside edge. Step 4: For the sentiment the "Celebrate" die was used. Cut this die from black, green, and a green patterned paper as well. Adhere together allowing for the black to be slightly off set so it shows as a shadow. 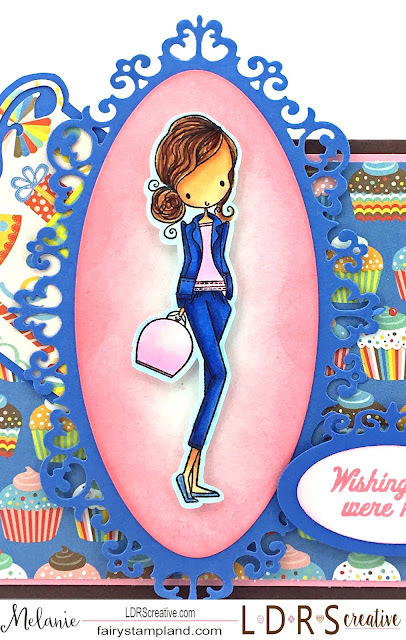 I am sharing a fun card I colored using one of the stamps from the All Dressed Up, "Gal Pals" Stamp set. This set comes with 3 full size 4" tall girly stamps perfect for coloring. Feel free to use them together or one at a time. I just love a stamp set with so many possibilities. For the sentiment I have used "Amazing Girls" which are all perfect for these girly stamps. 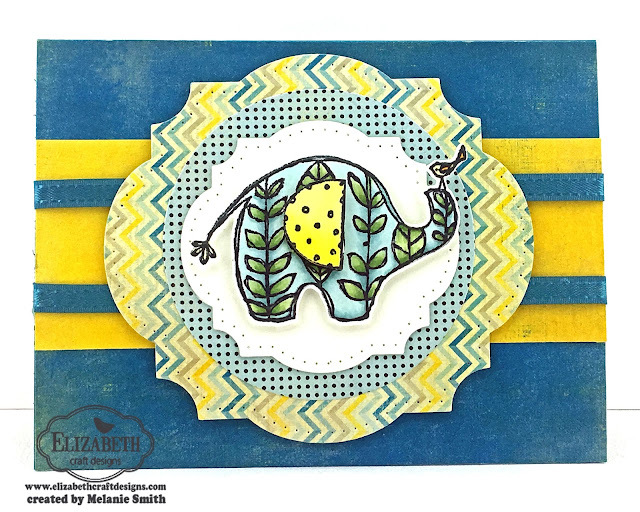 Today I am sharing a fun little mix of two different stamp sets by Elizabeth Craft Designs. 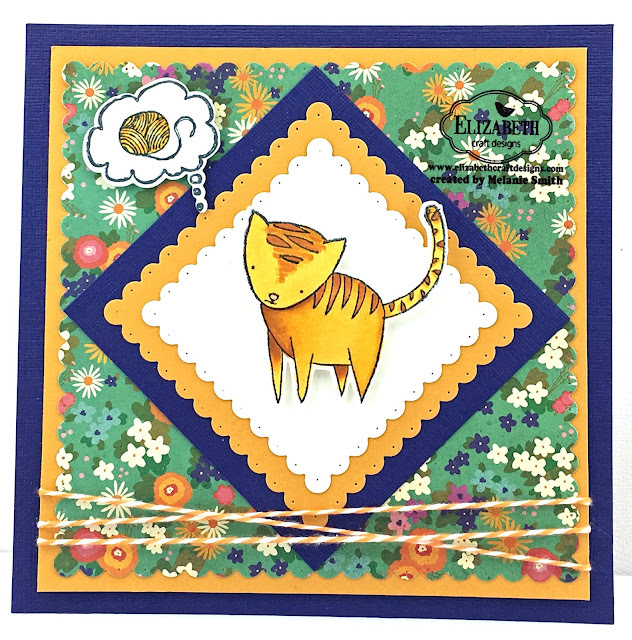 The kitty itself is part of the "Purr" Stamp Set. 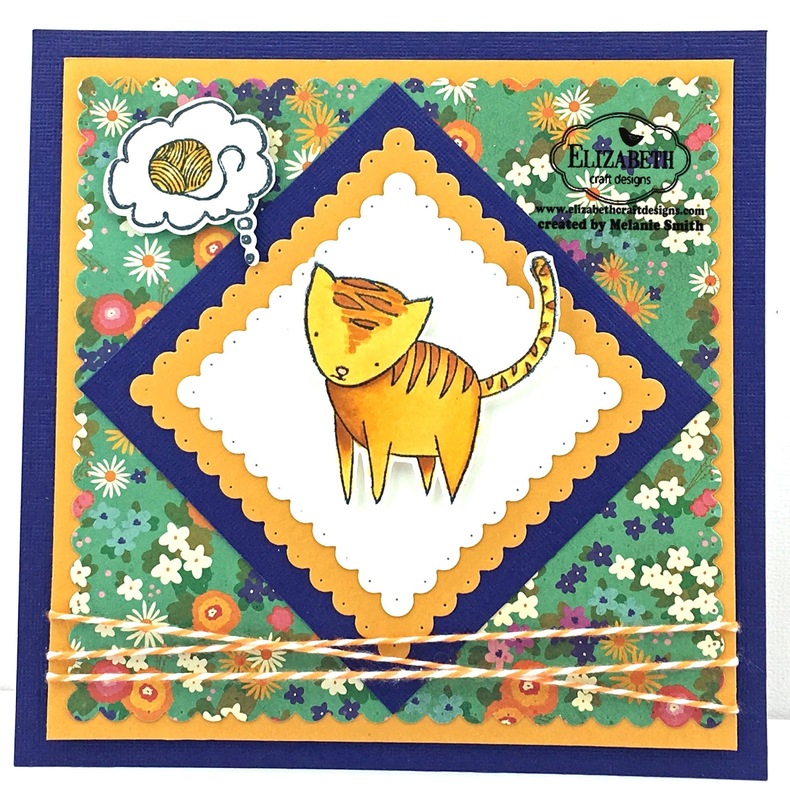 This little orange tabby just looked like he was up to no good so I paired him up with the "Dreamers Clear Stamp Set"
Both of these above mentioned clear stamp sets also have the matching dies to coordinate with them. 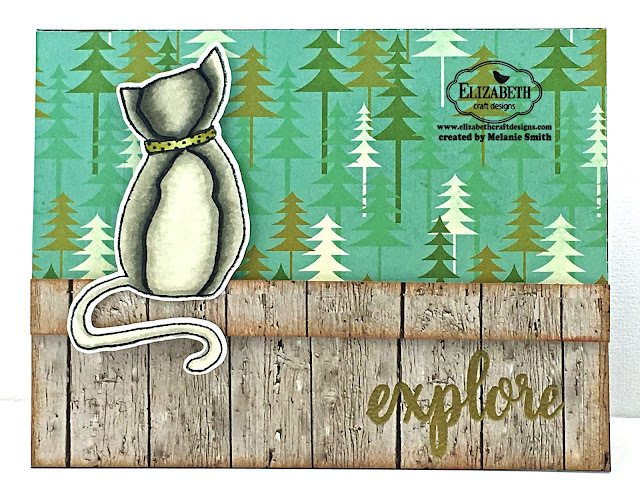 To see all stamp and dies sets by designer Krista Schneider click HERE. This little rascal has been colored using Copic markers. Isn't he precious? 1. Cut dark blue card base at 6"x12" and score to fold in half. 2. Cut a contrasting color piece of card stock (yellow) at 5 3/4' square. 3. From patterned paper cut a piece of card stock a tad bigger than 5" square and die cut using the Dotted Scallop Square Die Set. 4. for the center squares that are on point cut the blue card stock to 3 3/4" square and cut both the yellow and white scalloped pieces at 3 1/4" and 2 1/2"square. 5. Color and die cut the cat as well as the yarn/bubble. 7. Lastly the 3 "on point" squares are attached flat with the cat and yarn bubble raised up with foam tape. Today over at the Elizabeth Craft Designs' blog we are hosting a "Glitter Background" challenge. I had quite a bit of fun with this project as I haven't had much experience with glitter before. Let me tell you the burnishing (rubbing) of the glitters on the double sided adhesive it such a MAGICAL experience. 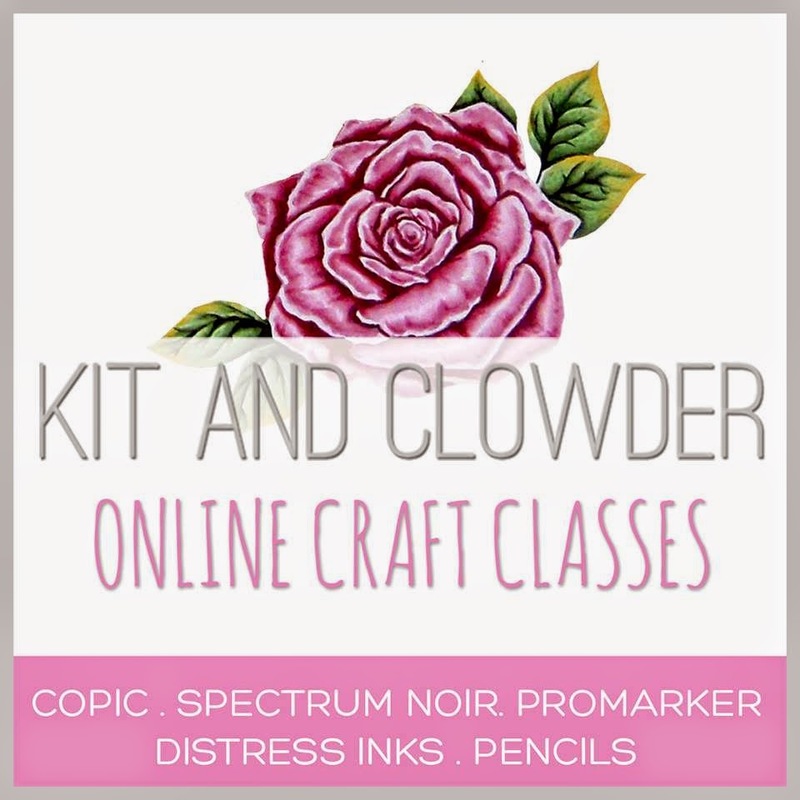 Make sure to check out all the projects from the team plus all the you tube videos showing the many tutorials using our Silk Microfine Glitter. 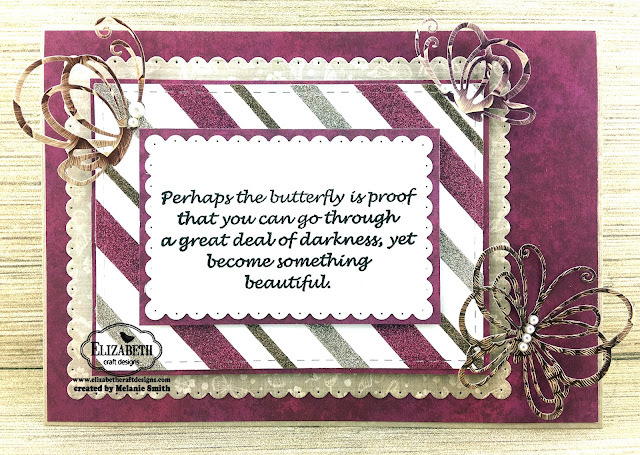 The striped background piece was created using a 4x5" piece of 85lb Soft Finish Card Stock in white. Using Clear Double Sided Adhesive in 3mm, 6mm, & 10mm sizes. The adhesive was put down on the diagonal and were randomly spaced. The adhesive backing paper was removed from just one size at a time (3mm, 6mm, or 10mm) and Silk Microfine Glitter was added and burnished in to reveal a beautifully glitter stripe. Continue with this one size tape at a time until all 3 are dazzling. Once completed use a stitched rectangle die to finish off the edges. To see technique videos on this technique click on over to the Elizabeth Craft Designs You Tube Channel. I have used numerous products by Elizabeth Craft Designs. See below for all the details. Silk Microfine Glitter in Ruby, Antique Silver, and Antique Gold.